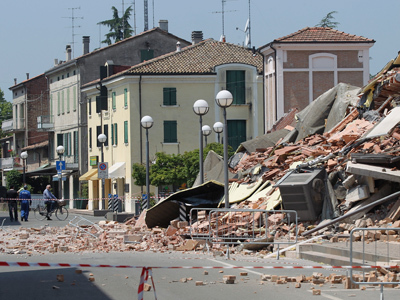 Several powerful aftershocks have struck Modena in northern Italy, just hours after a 5.8-magnitude devastating quake killed 17 people in the region. Many buildings already damaged in the previous quake have collapsed. The new tremors, the strongest ones of 5.6 and 5.1 magnitude, have been felt throughout northern Italy in Brescia, Milan and Modena, and even as far afield as central Austria. 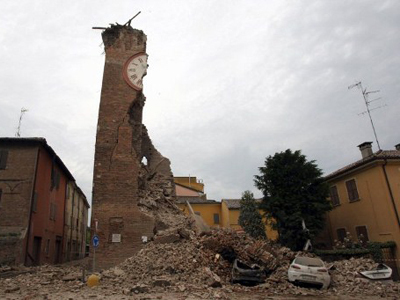 The first 5.8 quake struck the province of Ferrara at 09:03 GMT around 50 kilometers north-east of the city of Parma. 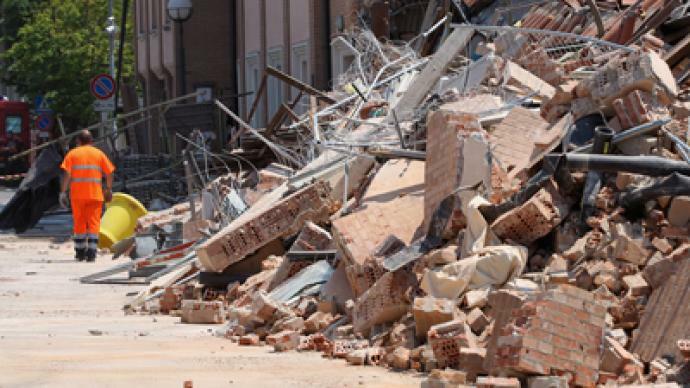 The region is still recovering from a powerful 6.0 quake that shook Italy on May 20, killing seven. The tremor was followed by numerous massive aftershocks as strong as 5.1 magnitude. Last week, the authorities declared 60 days of state of emergency throughout the regions of Lombardy and Emilia-Romagna.